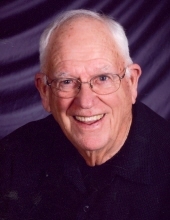 Raymond Wiley age 86 of Fredericksburg, IA, died Saturday, December 1, 2018, at New Hampton Nursing & Rehabilitation Center. Hunting and fishing were Ray's main hobbies. Combined with his love of travel, he roamed both North and South America in search of fish (oh, so many fish, especially in Canada), birds (including hunts in Mexico and Argentina), and game (such as elk and deer in the American Midwest and West). As much as he loved to hunt and fish, what Ray enjoyed even more was sharing these activities with his many friends. To send flowers or a remembrance gift to the family of Raymond Wiley, please visit our Tribute Store. "Email Address" would like to share the life celebration of Raymond Wiley. Click on the "link" to go to share a favorite memory or leave a condolence message for the family.